The adventure continues in Legacy 3. Challenge yourself with this 3d point and click adventure game. Enter a hidden temple to discovery a mystery that has taken place there. Solve the puzzles in order to advance - but beware, someone might be watching. Maybe you should have an escape ready? 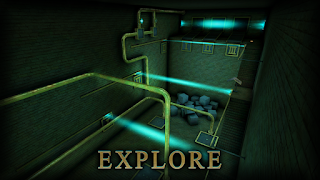 Play as an young archaeologist who sets out on an adventure to follow his mentor who's gone missing in an ancient pyramid filled with rooms and puzzles. In the pyramid you encounter puzzles and riddles that need to be solved to take you to the next room, and hopefully an escape. Connect the dots to solve the hidden secret that lies buried. 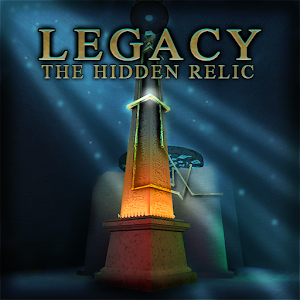 Legacy 3 - The Hidden relic is a beautiful 3d puzzle game. The rooms in Legacy 3 are filled with items and clues that are there to help you on your quest. Interact with amazing touch controls to inspect your newly found keys and tools. If you see something that looks interesting you can use your camera and take a photo - of whatever you like! Trying to remember that instruction you saw ten rooms before? No problem - just use the camera and you don't have to! Huge and natural looking locations designed with simplicity in mind creates a compelling and mysterious atmosphere. If Legacy 2 - The Ancient Curse was a dark game, this is the opposite. The rooms are big and brighter. But that does not make the puzzles easier. 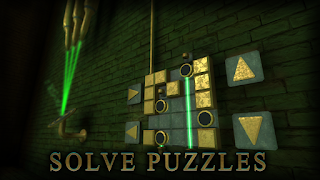 And there are still hidden objects that you need to find in order to solve the puzzles. I'm a solo indie game developer, if you like to give me feedback or need support do not hesitate to send me an e-mail! The game is not compatible with the Amazon Fire. Send me an email if you bought the game and we can figure something out.